Superb self catering cottages in Amble ‘the friendliest port’. Acarsaid, a cosy stone built 19th century cottage lies in a peaceful area of Amble within strolling distance of the harbour, marina and restored pier. It offers quality self catering accommodation for up to 4. Shops, swimming pool, pubs, restaurants, cafes, takeaways including excellent fish and chip shops lie within walking distance (best and nearest - The Harbour Fish Bar!!). All this and the 'little shore' at the bottom of the street! Two doors down from Acarsaid we have our larger cottage. Parrot Cottage sleeps up to 5, so combined with Acarsaid we can now accommodate up to 9 guests. Please do not miss our guestbook comments page, over ten years of satisfied guests! From a stunning coastline to the wild and beautiful Cheviot hills, from the peacefulness of its hidden gems and historic sites to vibrant Newcastle, Northumberland has everything. Amble lies on the beautiful Northumberland coast, at the mouth of the river Coquet, on the edge of the Northumberland Coast Area of Outstanding Natural Beauty. It is close to award winning beaches, perfect for a stroll whatever the weather. For more information please click the link in the menu above. 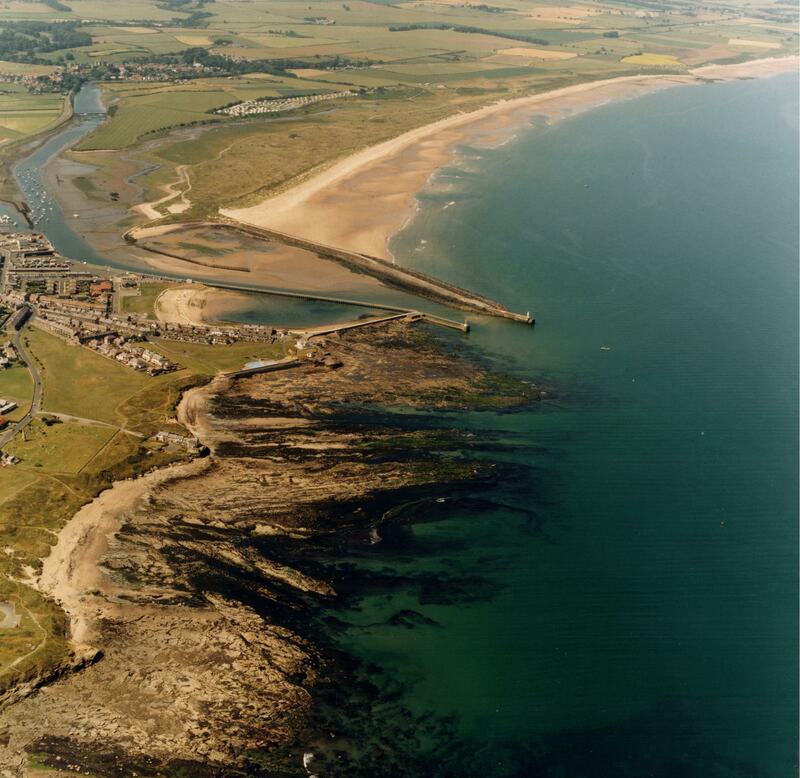 Aerial view of Amble at the mouth of the river Coquet.